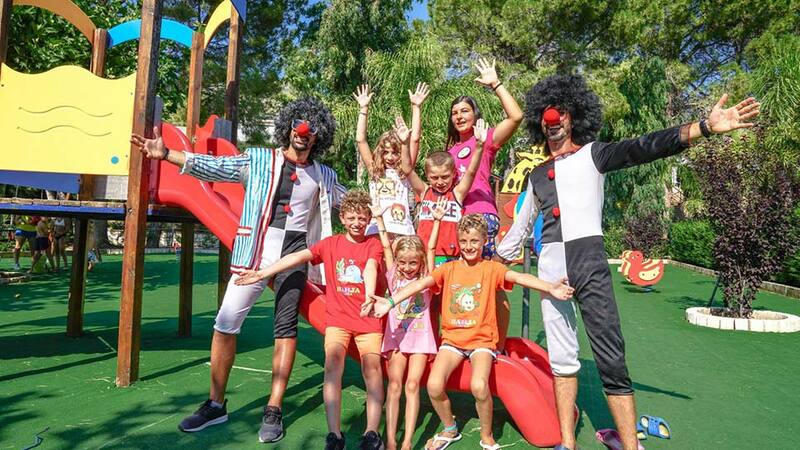 Just like all best holiday villages we find that entertainment provides a important opportunity to share pleasant carefree moments of fun with our guests. We will be able to propose many activities with discretion and respect for your time and preferences and accompany you with a smile during every moment of your holiday in Calabria. From the moment of your arrival you will be able to get to know our entertainment staff who will offer you a welcome drink. 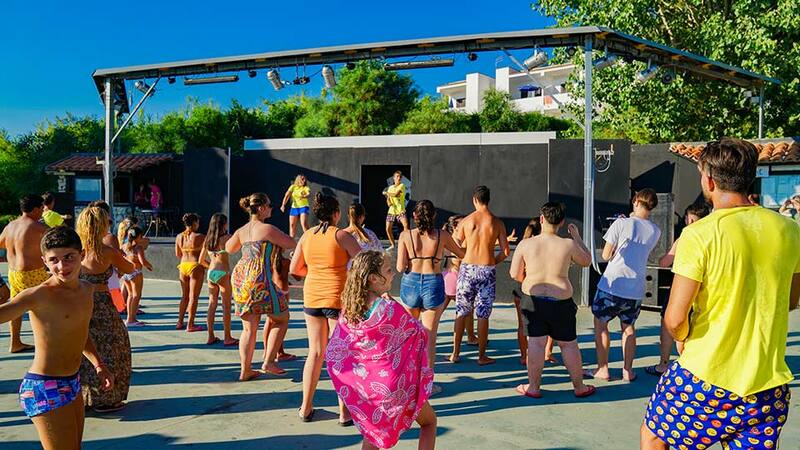 For the more active guests the morning starts with a muscular exercise the followed by group dances and fun on the beach, for the young and old. 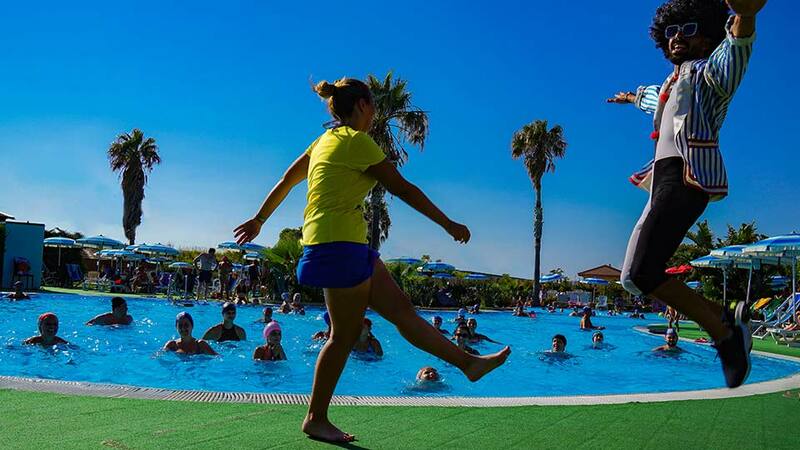 After an afternoon rest, entertainment is transferred to the pool especially for those who want to join in on game of water polo or water basketball. For those who want to keep fit the pool is the ideal place for an aquagym class. When the sun goes down the fun doesn’t end. Our guests will be able to enjoy the magical world of cabaret and shows! 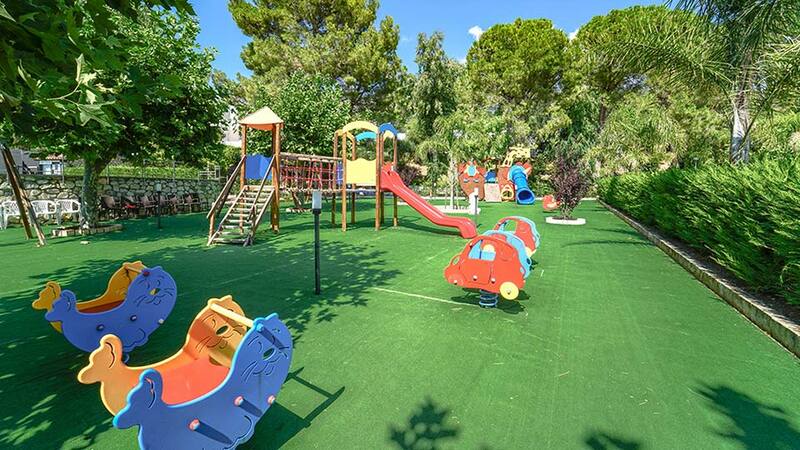 Younger children can have fun all day thanks to the minclub in the beautiful park with many games in Villaggio Bahja in Calabria In the evening to end the day on a happy note there’s baby dance.